There's a very good story by Jack Schaefer about a hunting lodge with Peyton, an excellent naturalist, who is as sporting as Scott when it comes to culling a sick or weak deer, finally a rancher calls him a predator like the wolf and tells Peyton that he's been searching for a word that appropriate for the predatory hunter. The word is "humility". It's good to have it in the market especially when shorting the stocks. The NYT wrote an article about short sellers, but is unable to find one willing to go on the record, except a retired short seller from 2008. In years past there have been people on the site who knew football–the original kind. I hope they are enjoying Leicester City and Claudio Ranieri. For those of you who care nothing about "soccer", consider this: at the beginning of the season, Leicester City's odds of the winning the Premier League were quoted at 5000-to-1. One wonders if the volkswagen problem is endemic to all industries regulated by their colleagues at the agencies. Since the companies vet and establish the regulatory hurdles, they would have every reason to design a way to pass the tests. The drug companies with their supposedly double blind studies of individuals free of other diseases who complete the tests, from a carefully selected group to start come to mind. The problem must be legion? Is this a reasonable way of thinking or am I overly cynical. 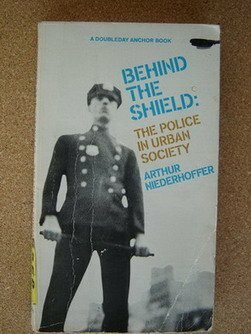 I believe my father wrote a book or two about this starting with his cynicism tests for policeman in Behind the Shield. That makes sense. Reminds me of Self-Regulatory Organizations — looks like bankers, lawyers, doctors and realtors all have their own version. A candidate for some measure of malfeasance in this 'technologically enlightened' age is surely the click through advertising piece; for example, advertisers paying based on number of clicks. In some states, like Oklahoma, there are no emissions inspections. So it would seem like now would be a good time to buy one of these cars on the cheap before the software upgrade and then not do the upgrade (assuming that is, that you don't care about the emissions). A friend said: "Don't underestimate the seriousness of this. I am not a lawyer, but isn't triple damages common due to fraud, if proven?" My answer: Ha! You are assuming that laws actually apply to top corporate executives. I almost purchased a "clean" diesel vehicle. Even if the government is out of the picture, as a consumer I would be outraged. As a consumer, wouldn't you want to return a product that has fraudulent specifications? The liability would already be huge for VW. Read the fine print, people. The car does pass regular emission standards; the software fix was needed so that it could also pass the higher standards that made it eligible for "clean" (sic) energy tax credits. Those were, for a brief period, so ginormous that they would, by themselves, sell the car. That was the incentive for the cheating. Will China liquidate its holdings of US debt to pay for the recovery? "BLACKROCK WARNS: China's debt has lost its potency and is now 'turning into poison'"
What would they do with the US dollar? 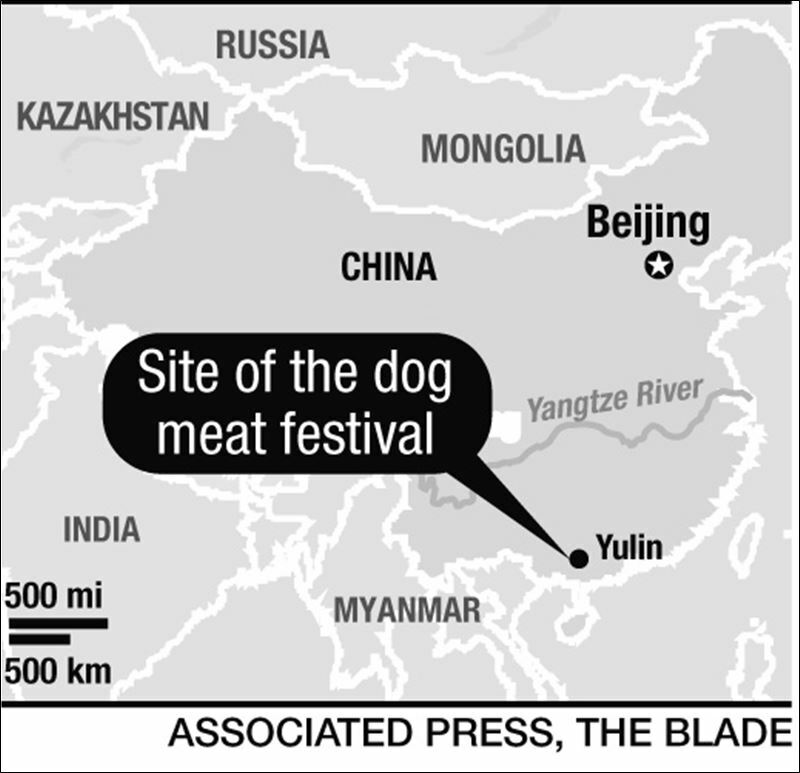 Convert it back to RMB and hurt Chinese exporters? To get rid of dollars they could import goods and services, make investments dominated in other currencies or buy other currencies. They could just invest in other U.S. investment possibilities (including equities, real estate, etc.) In the aggregate the only way foreigners can get rid of U.S. dollars is to buy goods and services. They can also make fixed investments, but the returns and proceeds upon sale would be in U.S. dollars, so they would not really have reduced their dollar holdings. They can of course make investments in the U.S. that decline in value. (They could also convert to currency and burn it, but that is not a logical choice.) An other alternative is to give the dollars to Americans as a gift, another unlikely choice. Yes, the Chinese could buy RMB for dollars if they find someone who has RMB to sell. To the extent Americans hold RMB that they would sell for US dollars, the gross positions would change but not the net positions. What if: Traders are glued to watching quotes. HFT can flash quotes — "is it too fast?" Let me go slow. Then, it is something humans can actually see, dances around and pauses on the "right number", dances again. Sometime later, the market moves and everyone jumps in etc based on whatever indicator (FOMC, Economic numbers, Technicals, etc.). They need a stop. Let's pick a price "no one else will know".But HFTs know — 99% pick the same number based on the way they flashed prices and run them. Is it possible? Because somehow the more I am glued to the screen, the more likely my stops are filled! Kospi [Korea Stock Price Index] crossed the 2000 level 79 times so far…each occurrence as a bar on the chart. Is this typical of round numbers? You would think that by say 100 times, speculators will give up on whether the event is bullish or bearish. Or is this what a "soft-landing" is? "The pattern that Zhijian discovered — winners repeating their strategy and losers moving to the next strategy in the sequence — is called a "conditional response" in game theory. The researchers have theorized that the response may be hard-wired into the brain, a question they intend to investigate with further experiments." If I am reading it correct, the losers are basically choosing to display what won recently. Isn't it like using 3Y returns to pick mutual funds? Or did I get it wrong? I don't play that game, but a good strategy might be to make selections as randomly as possible, for example by memorizing long sequences of digits of irrational numbers (Arthur Benjamin has a memory aid for how to do so). Bill Walsh, the coach of the San Francisco 49ers football team in the 1980s, scripted the first 25 plays of each game in advance. This strategy made it harder for opponents to guess what play might be coming next. I have an idea that, if I could ever find enough trading systems with positive expectations, it might be good to randomly pick a sequence of systems to use in advance, in order to keep the crocodiles guessing. It is always interesting to see a day where Japan goes straight down when NYSE was way up on apple news. And what are the odds of the Dow Jones closing +0.00 on such a wild day? I had some difficulty finding a concise definition of the DeMark Sequential indicator. From an article written by Mr. Burke in the 1990s and other sources, I constructed a test, but there are variations in calculation and execution, and there are rumors that Mr. DeMark adds proprietary logic. 1) The method A setup for a buy (sell) occurs when there are 9 consecutive bars with closing prices lower (higher) than 4 bars earlier, and the high (low) of either the 8th or 9th bar is higher (lower) than the low (high) price of a bar at least 3 bars earlier in the sequence. When setup is complete, begin the countdown. Count any bar in which the close is lower (higher) than the close 2 bars earlier. This time, the counted bars do not need to be consecutive. If the price goes above (drops below) the highest high (lowest low) of the bars in the setup sequence, the setup and countdown are canceled. If a new setup occurs in the same direction, the countdown resets to zero. If a new setup occurs in the opposite direction, begin a new countdown and cancel the previous setup and countdown. If the count of bars that close lower (higher) than 2 bars before reaches 13, and the 13th counted bar closes lower (higher) than the 8th counted bar, it is a buy (sell) signal. It was not clear to me what should happen if the count reached 13, but the 13th bar did not close lower (higher) than the 8th. I decided to cancel the setup and countdown in that case. There were only 5 buy signals in 8 years, but they worked out very well, including a buy signal on the day after the 1987 crash. 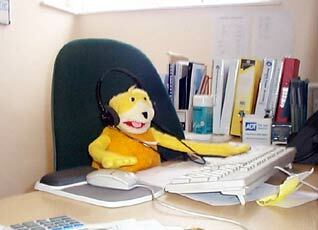 The record of the sell signals was decidedly mixed. The best that can be said is that the 28-day net change was lower than average after a sell signal, although still positive. 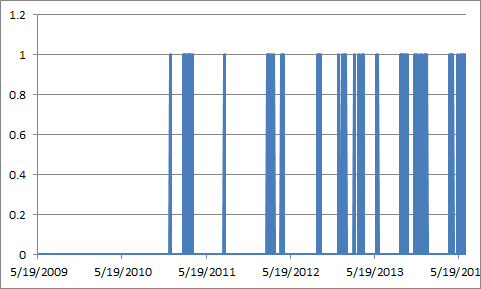 I decided 28 days was the optimal holding period and considered only 28-day net changes after later signals. The results of buy signals have continued to be on average very good, although also very rare. The results after sell signals appear consistent with randomness. May I ask, why would 7- or alternatively 8- or alternatively 9- or alternatively 10- or alternatively 11- ….be my guest to go on forever… "work"? I understand where you are going, but your critique will apply to all of technical analysis, and not just DM. I am not a follower of DM, but I believe that technical analysis is based on psychology. At 80F, humans can only live 9 days without water — so there is some cognitive explanation why we are counting 9 days of frustration to capitulate those who traded counter-trend, before the real counter-trend arrives. Now, don't ever talk "all T/A". The reason previous volume areas tend to hold the price is because people tend to transact (again) at their former prices. I've always had a beef with time counters who have no accounting for price. The Chair rightfully refers to many as charlatans; but do I understand his page-sized color-coding scheme correctly: the Bond move +0'02 = Bond move +2'00? SP change of 0.50 gets same color as SP change of 15.00?? I bet you that a system that buys a 38%, a 50%, or a 62% retracement of preceding impulsive up-wave will produce better result than a system that buys exactly the "8th declining" 5-min bar, or 15-min bar, or 30-min bar, or 60-min bar or daily bar or weekly bar. Isn't the 8th 5-min bar getting you to where the 4th 10-min bar would get you? What's the magic of counting those bars? Canada, Mexico, S. Korea, USA, UK all have chart patterns that have held the August 11th lows and have zig-zagged sideways to up. Many more "weaker" countries have broken those lows and are rallying, from lower levels: Italy, Belgium, Switzerland, Malaysia, Netherlands, Austria , Spain, France, Singapore, Taiwan. I am referring to etfs like ewi, ewk, ewl etc. So it's west vs the rest. So the question is–are the western lows going to hold and do western markets lead up or do they follow them down into another leg of bear? Is the Euro fix baked into the markets or not? QE seems a given, a Greek default is a given, a two tiered Euro is the only real answer, gold going to new higher highs is a given, then do all markets follow up after a shriek down on crocodile tears bad news (Greek out) ??? I mean everyone knows it's bad bad bad bad…. Could Nikkei vs SPX in 1990 be a guide? Both fell until Sept 1990, and rallied from Sept 1990 - Mar 1991. Thereafter, decoupling occurred. Tone is as important to music as pitch. You've heard a new violin player playing the notes on the chart but the tone is awful. 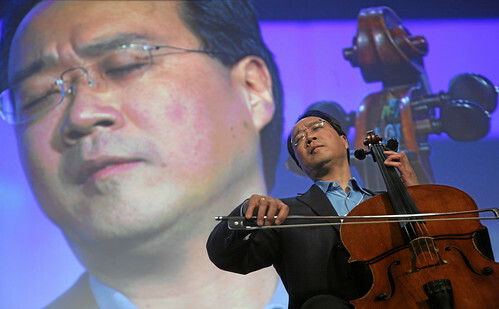 Yo Yo Ma plays sweet modulating tones. Focusing on just price without regard to tone leaves out relevant and important information. The market has tone. Quiet, jumpy, weak, anxious, thin, bullish and dense internals. The environment, political, news, economic, social, international also establishes a mood and tone to the market that cannot be ignored except at your own risk. The prior tone is also relevant as music is not discrete tones and notes, but a integrated statement over time. Emotion is the main vehicle of music and also with the markets. Tone both creates emotion and is the result of emotion. Voice carries emotion: The cry of a baby, the angry tones of politicians, the whine of the complainer each has distinct tonal qualities. The tone carries meaning and has persuasive force. The question is how to quantify it or even qualify it to learn the meaning in the market. Emotion also has established patterns: Denial, anger, acceptance; fear, capitulation, numbness; catastrophe,catharsis; infatuation, love, boredom, hate. If tone both reveals and creates emotion, understanding the tone of the market will reveal its emotional state and reveal its emotional stage giving a clue to the next phase. The yogis believe in seven chakras in the human body, each corresponding to one of the seven pitches, each corresponding to a different emotion. The stages of grieving you describe go from lower chakras/pitch to higher. Soros reacts in his gut, which is one of the lower pitches — probably a survival type of emotion. The tone probably is the intensity of the energy at that chakra — I am thinking market volume. We are probably saying the same thing — I find it interesting but am adding quite little. BTW, the chakras also correspond to the colors in the rainbow, red with the lowest frequency is below. For these reasons I find alternating attention between composing and trading congruent, as they are carriers of emotion at different scales. 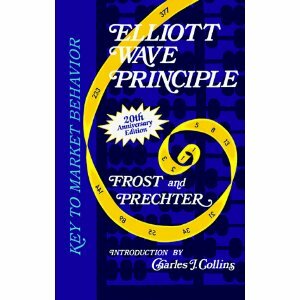 From my point of view the Elliott Wave framework fits well, being a sequence of eight stages whose final three are labelled A, B, C. As I often use a fractal structure in music, that is another similarity. I may be slow, but it has taken me years to internalise patterns which are lately becoming clearer to see. Yesterday I put sixty years of the S&P into Advanced GET. The astonishing rise from the doldrums must, in part, be a distortion reflecting the love of printing money, but even were this transcribed from dollars to ounces of gold, I think the ascension of computer followed by internet technology would show how much these developments have added to the wealth of the world. As I move between Monthly, Weekly and Daily views, the software messes up the precision of my placement of wave counts, and I am thinking to move the whole thing into a graphics program, with the different scales, whether grand or minuettes, callable up via layers. This would help me watch day by day what's going on, a work of art within an art program. It is impossible to experience in full a piece of music from a short excerpt, and I think likewise the Market, with all its waves and eddies, needs attention from up close and afar. Also, the rainbow, the universal belief that there are seven colors in it may stem from Isaac Newton's assertion, which was based on his mystic ideas about numerology. However if you look at a rainbow and count, it is not clear whether blue, indigo and violet are really three colors or two. Also the yellow band is very narrow, though often depicted as equal to the others. I think context in time is part of what the Market (like a human being) experiences, so as well as volume one might want might look at moving average based indicators, and fractal perspectives. Mr. Sogi is exploring an endlessly fascinating topic with his exceptional lucidity and depth of experience. Great performers play the heartstrings by varying tone within phrases. (They also vary dynamics and duration of individual notes in phrases.) They learn how to do this by spending years with master teachers and figuring things out on their own. That's why synthesized music can sound only like an approximation of the "real thing." Because the market is a bazaar of human voices, expressing workaday practicalities, aspirations, fears and strategies, I don't think it's unduly anthropomorphic to look at it as a great performer. And while some of a great performance is spontaneous, much involves muscle memory that training has made reflexive, and must therefore be susceptible of being "sussed out." There's an old game/tv game show called "Name that tune". The gist is that competitors would try to identify the title of a song by hearing only the first X notes; the winner would correctly name the tune in the fewest notes. Human memory being what it is, it was possible to name many popular pieces and classical symphonies by hearing only the first measure of a piece. However, if one picked a RANDOM measure from somewhere in the middle of the same piece, it was vastly more difficult to identify the title correctly with the same consistency. This is a reflection of how our memories work; and this phenomenon may have relevance for people looking for patterns in the middle of time series — as opposed to the beginning and ends of time series. My old friend and top Master checker player, Karl D. Albrecht from Michigan was walking around the playing room full of players at the Tennessee tournament. As Karl walked by many games that were being played into the mid-game he could by sight and memory accurately tell you from what checker opening each board position originated. I found this remarkable. One has always hypothesized that holidays are inordinately associated with major turning points. One hypothesizes that the correlation between the extent of bailout and subsequent economic recovery between countries is not zero. One notes the story from The Book of 5 Rings where a group of wealthy samurai were traveling in Kyoto and were met by a vanguard of vassals telling them that a group of noblemen were behind them and they should bow down on floor in prostration. It turned out the noblemen were robbers and stripped them of their clothes and honor and the samurai had no recourse but to renounce their profession out of shame. What lessons does this have for markets, market people, and others? One believes that the early leads in basketball games and other games tend to be increased in subsequent parts of the game. One hypothesizes that the expected change from the time that the NBER announces that a recession is over or started are opposite in direction from the economy's current announced state — i.e., after they announce a recession the market goes up more than after they announce an expansion. The continuous surfeit of negativity over the past year (and now hints of protectionism) makes one ponder whether one fell asleep during the housing bubble and awoke in Bizarro World (the mirror-image of Superman's world)… A successful investor doesn't need to either celebrate unemployment (Dr. Rehmke) nor declare millions are out of work forever (Dr. Dreyfus). Both statements are simply provocative– it's much less dramatic to simply observe that employment is a lagging indicator. (Yawn.) Perhaps it would be good medicine for all– if the Chair resumed his slights toward Alan Abelson (last mention July 20, 2007), and prior to that more than once/month. Most importantly, for those who are looking for a "major turning point," I share the words of Bruce Kovner, with whom I had the honor of briefly working: "Listen to the market." By any standard, the pessimists have been horribly wrong. But instead of acknowledging that things are improving, they are being Alan Abelsons, digging in their heels, and predicting that the next huge downturn is just around the corner. (ii) its asymmetric behaviour, namely the fact that unemployment appears to rise faster in recessions than it falls during recoveries. 2. The next survey of Professional Forecasters will be May 14th, but most see an improving jobs situation. Slow at first but accelerating by end of current POTUS term. 3. Interesting chart of GDP fall vs. unemployment rise (Okun ratio). Less regulations in US (and Canada) would seem to be a long term positive, but the US and Canada sensitivities to GDP fall are higher because workers can be let go faster. Here is an update on P/E type-forecast, with a caveat about markets remaining irrational…if they feel like it. What about the case where you may be moving quickly from high P/Es to lower estimated 12-month forward P/Es? (i.e. S&P 500 going from 31 one year ago to 23 now to possible 15 in 12 months time). So if you have a high rate of change in the P/E downward (if numerators continue to grow) that might make the positive portion of the bars more likely? It seems with the P/E in the 15-17 range you have more variability in range of returns but the forward dividend yield would still indicate lower returns given yield of 3.4 (one year ago) to about 1.8 today. I understand that the long window is supposed to average the business cycle. Well then, the window should be variable. As of right now, we are getting bad earnings from two crashes and many of those companies don't exist anymore. Perhaps it says something about the unfortunate timing of two bad periods and growth of the Internet being captured by late comers (e.g. Google and Facebook) rather than early adopters (AOL and Yahoo). Being an investor in today's market, not yesterday's, may still be attractive. Random number generator was used to generate 100 simulated 36-year markets, with the same stdev (0.023238) but with a mean weekly return of zero. The means of all 100 simulated markets were ranked, and the highest one was found to be 0.001663. So the probability that actual SP500 weekly returns averaged what it did - 0.001671 - by chance alone - was <1%. Using the same method as for SP500 simulation, the random number generator was used to generate 100 simulated 36-year markets, with the same stdev (0.029022) but again a mean weekly return of zero. The means of all 100 simulated markets were ranked, and the highest one was found to be 0.00174. The actual mean of 0.000455 ranked 30th out of 100 simulated weeks. Japanese stock market drift had a 30% probability of occurring by chance alone. If upward drift was the result of return for risk, why didn't it occur in Japan? A friend suggested evaluating drift after adjusting for risk-free return (in this case, 30 day t-bill rates available as concurrent alternative to SP500 index investing). Weekly 30-day t-bill yield data from FOMC* (which uses annualized yield) was converted to weekly yield, and SP500 weekly returns were converted to "risk free return" by subtracting the weekly 30 day yield. One-Sample T: wk ret, "risk free"
Are all dividends included? Perhaps it is because Japanese hold stocks for different reasons? I was in Tokyo when JAL went under and some people were happy to pay 1 yen to be a shareholder to get a certain number of tickets for half price a year. 1) Most speculators use too much leverage. 2) Most speculators don't hold their positions for sufficient time. 4) Most speculators prefer a serious of "modest" short-term profits versus slowly accumulating long-term gains in a single position. Bottom line: They found that the average speculator had a win/loss percentage of 51.3% and the best speculator in the study had a win/loss percentage of 80%. However, he still lost money because of his low profit factor. Despite great win/loss ratios, the average trader in the study is a career net loser. It's a Wall Street platitude that "no one ever went bankrupt taking a profit." This study shows that the platitude is false. "Most speculators don't hold their positions for sufficient time." "Most speculators don't use stop loss orders… The point was they don't cut their losses." Which is contradictory because many deep losses reverse eventually ("every price is hit twice")*, and often the correct trade is to wait for losses to reverse (and often it is not). Taken together, this means "ride your winners and ditch your losers." Isn't that trendfollowing, and if so, what if the (currently traded) market is not trendy? *except Nasdaq 5000 in our lifetimes. One has not read the article, but would wonder whether speculators would lose as much if they showed opposite traits. However, the characteristics noted all would lead to greater vigorish and this is where most of profits from the market makers occur. Everything that happens is guaranteed to increase the profitability of that vigorish to the house or top feeders. If one attributes the speculator's losses entirely to transaction costs, then one's performance can be improved by simply having fewer transactions. One wonders whether there is an a priori relationship between all of w/l ratio, profit factor and quantity of transactions? Splitting hairs, I quarrel with your choice of the word "guaranteed." A much wiser man taught me that the only things guaranteed in life are "death and taxes." Macro traders should be long gamma as markets can stay irrational, while value traders should be short gamma especially if they are positive carry and see no devaluation/fraud risks. I think it all depends on your style of trading. One would say this is perfect as one trader should always be one way and the other trader should always be the other way. that is guaranteed to make the top feeders a perfect guaranteed profit. I say the above in all seriousness and respect to the high thinking Mr. Low. Mr. Low articulately differentiates between arbitrage/positive carry, mean-reversion (providing liqudity) and trend-following (taking liquidity). Arguably every single trade or investment fits into one of these categories. But I'm confused and intrigued by Vic's comment about "top feeding". 1. Who exactly are the "top feeders" and should we buy their stock? 3. And if they do eventually slip off their perch of "top feeder" — then how does one argue that they ever had any advantage? As opposed to being just another opportunistic profit-seeking participant? Theoretical questions of course — but they challenge the hypothesis. Seems to me there is some kind of law of conservation going on. Usually if win-loss is very favorable, avg win > avg loss, then frequency of trades is low. If win-loss is very favorable, avg win < avg loss, then frequency of trades is moderate. If win-loss is only very slightly favorable, avg win > avg loss, then frequency of trades is high. etc. etc. …. all solving for a reasonable profit factor. But if you are doing something quite different or if you are early in a wave, you can have an unreasonably high profit factor. Then again, there is always the argument that low profit factor strategies with low capacity are the ones with the longest half lives. My view is that the trades do not always net out. While the macro traders are attracted to events such as subprime, china, commodities or Greece, value traders avoid those trades rather than taking the opposite view. Buffet did not invest in dotcoms for example. Each has his own reasons, from only trading what he understands, to seeking or avoiding volume/volatility, to seeking catalysts. Aside from trades, there might also be a timing mismatch. Traders with most skill in my view know when to sit on their hands. Others might be lucky or unlucky. Eg penny stock momentum strategies might only work in the dotcom era but not after. On the other hand, value did well in the great moderation of 2004-2006 but not during the quant meltdown of 2007. Given the tendancy to chase performance, the dollars in each camp may not net out exactly. I hope this clarifies my view, but I do think there are top feeders that make good returns off their franchise. ETF providers make money both by providing access to hot markets and by lending stock to short, for example. One theory is option pinning as we get to expiration. Another theory is to maximize trading volume as emotions rise on either side of the round number. In a zero sum game, the smart money make more if they increase the magnitude of the other summand.